Democratic presidential hopeful and South Bend, Indiana, mayor Pete Buttigieg speaks at the Commonwealth Club of California on March 28, 2019, in San Francisco, California. 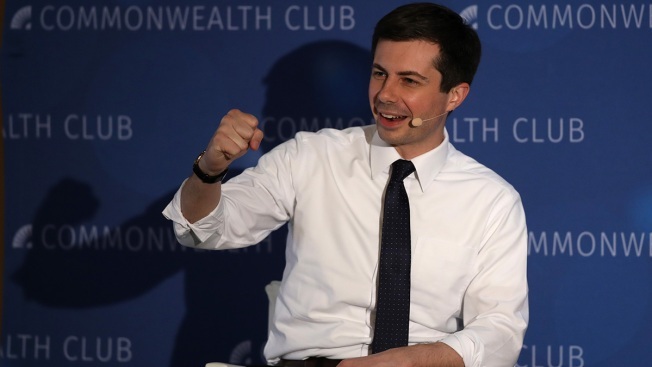 Pete Buttigieg, the mayor of South Bend, Indiana, and a fast-rising 2020 Democratic presidential candidate, announced Monday that he raised more than $7 million since launching his presidential exploratory committee in January, NBC News reports. "This is just a preliminary analysis, but our team’s initial report shows we raised over $7 million dollars in Q1 of this year," Buttigieg tweeted. "We (you) are out-performing expectations at every turn. I'll have a more complete analysis later, but until then: a big thank you to all our supporters." Buttigieg was the first 2020 Democratic candidate to announce his fundraising haul for the first quarter of 2019, an important indicator of a candidate's viability in what's shaping up to be a crowded Democratic field. All of the candidates have until April 15 to release their fundraising totals from the first quarter, which spans Jan. 1 to March 31.